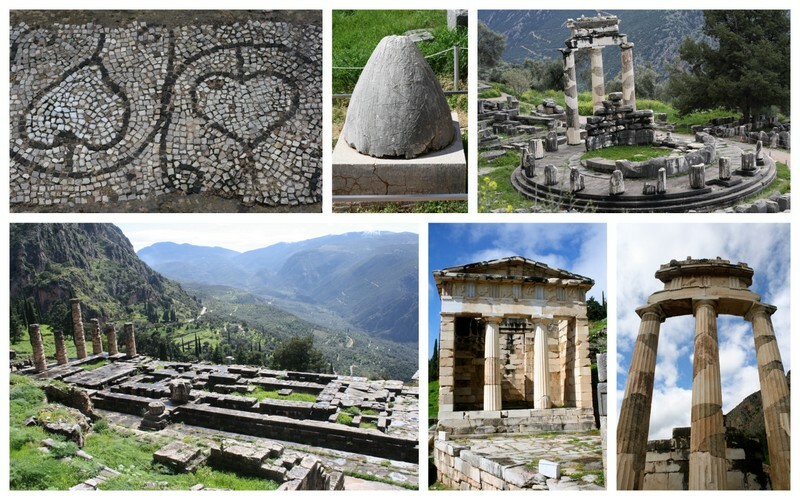 Ancient Delphi was one of the most sacred sites in all of ancient Greece. As the center of the earth it was home to the Oracle, or mouth piece of Apollo, who sitting in a trance like state would deliver the message of the Gods. Located on Mt. Parnassos, and overlooking the Gulf of Corinth, the site is stunning and it's easy to see why the ancients felt such reverence. As a religious sanctuary all the buildings, stele, statues, and treasuries found are gifts to the Gods for blessings received by grateful recipients. 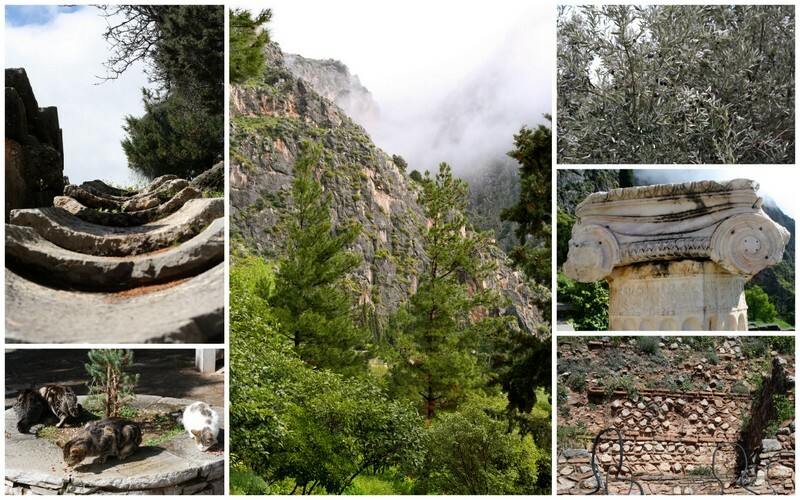 Location: Delphi is about 3 hours northwest of Athens. We rented a car and drove there, but there are many tour company's offering day trips from Athens. Time: Give yourself half a day to wander the site and museum. TIP: Operating hours of archaeological sites in Greece were inconsistent and finding a reliable link online was difficult. The hours listed in our guide book were wrong at every location, but by the end of our trip we found 8am-3pm to be the new standard. Perhaps in the summer they will offer longer hours. Eden was fascinated with the Greek alphabet; we had a fun time matching the Greek characters with the Roman letters. The temple of Apollo had a really interesting temple ceremony, you can read more about it here and here (scroll down until you see Oracle of Delphi). L-R: mosaic fragment, Omphalos (navel) marking the center of the universe. Tholos; circular temple to Athena, Temple of Apollo, Treasury of Athens, close up of Tholos pillars. 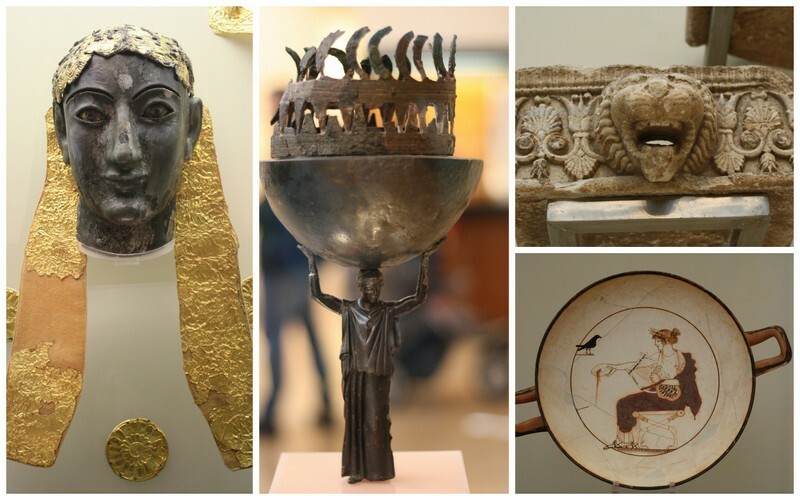 The small museum packs a punch with finds from the site. 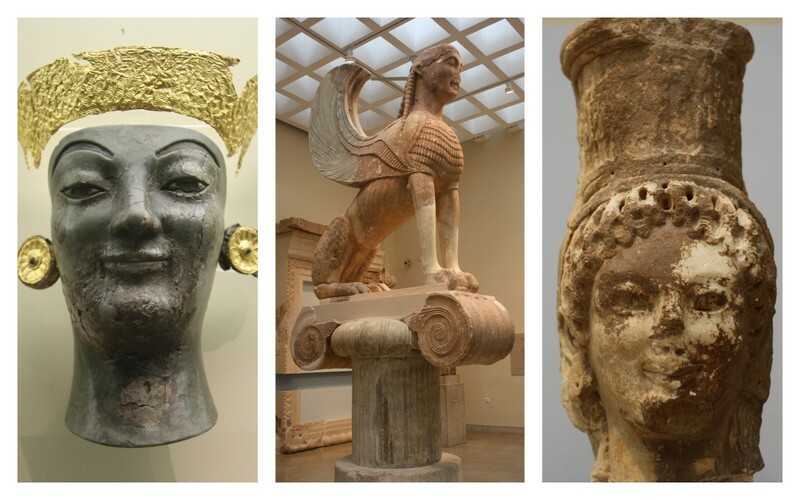 Among my favorites are the Winged Lion who stood atop a 40 foot column and the Charioteer. 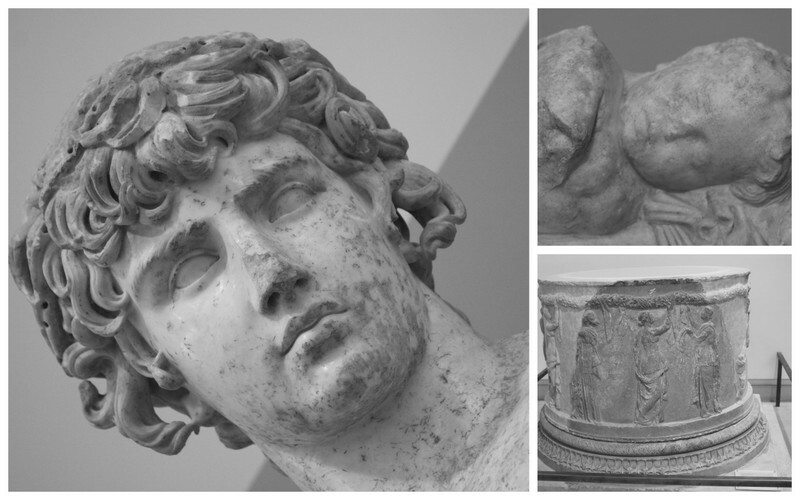 Photo on the right: This young man was the real life lover of the Roman Emperor Hadrian. When he drowned in the Nile Hadrian had him elevated to to god-like status and statues of him were erected all over the empire. On close inspection you can see the ringlets and whiskers on the Charioteers face, and a victor's ribbon tied around his hair . His eyes are still set with rock and enamel and he even has eyelashes. I love this bronze sculpture! We must have passed one of these small shrines for every mile we drove, they are everywhere! We finally pulled over so I could photograph this one where the goats were grazing.